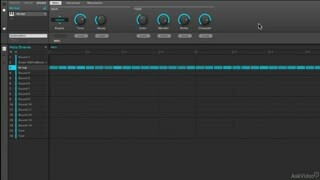 The Maschine team at Native Instruments doesn’t sit still for a nanosecond. 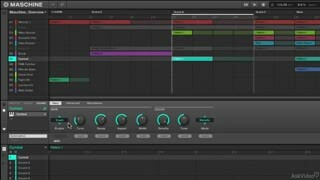 It seems that amazing Maschine improvements and features appear out of nowhere every few weeks! 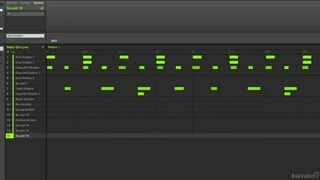 And Maschine 2.3 is right up there with its combined new feature list. 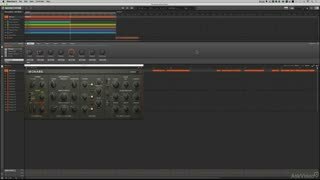 In this course, Matt Cellitti leads you through all the updates while, at the same time, showing you how to apply these new features to your productions. You’ll see the new effects like the improved limiter and the killer analog distortion. 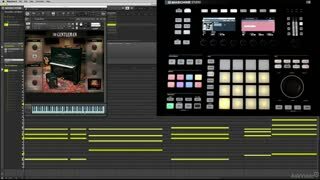 Matt then explains Drumsynth and all of its various beat-making engines. 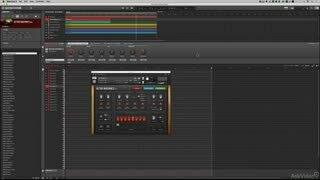 Next up is a section on Maschine 2.3’s usability improvements including tutorials on slicing and the improved arpeggiator. 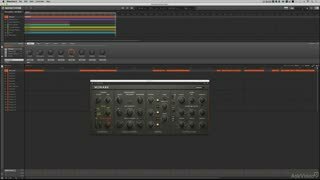 Matt concludes this course with a deep look at the new Komplete Select collection of instruments and how your Maschine’s sonic universe just expanded big-time! Now there’s Monark, Retro Machines, Drum Lab and more for you to explore. 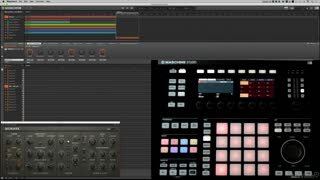 As you complete this “New Features” course, you will be ready to dive in and make killer tracks with Maschine 2.3. 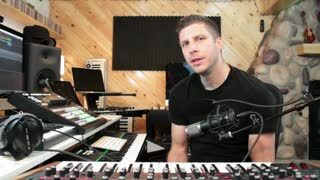 Hi Matt, Great tutorials as always. 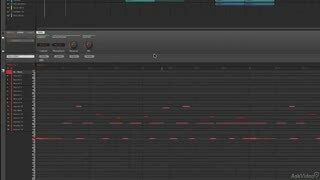 Just a quick thing about the DrumLab Midi Transposing tutorial. Though I loved your workaround, it got me thinking & found another & perhaps better way of doing it. 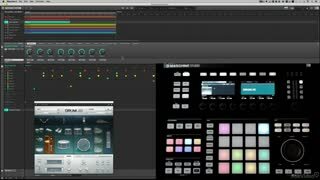 Go into the options tab & create a Maschine KeyMap for it. I just tried it & it worked. 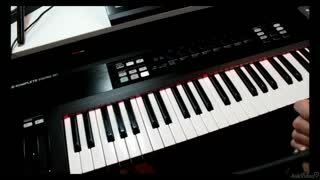 Select your target pad & reassign the instrument & articulation.Job done ;) I too found it convoluted & found your tutorial got me thinking about it. Many thanks again. 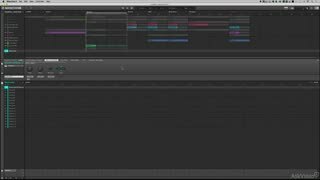 Great Course showing all the new features in MAschine 2.3 update! Thanks for sharing this! 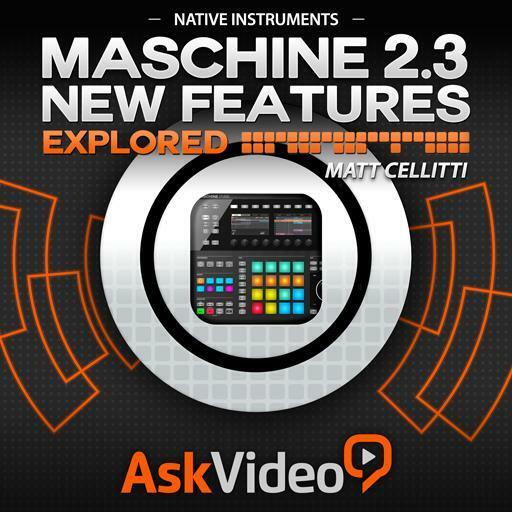 Maschine 2.3 New Features Explored is a great follow up from either of the Maschine 200 level courses on MPV. The information doesn't cover a vast amount of the software, but rather it focuses on the new updates and how they can be integrated into your workflow. 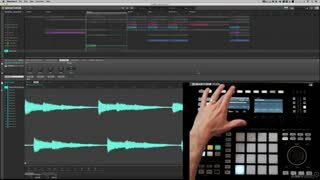 I would recommend this course to any Maschine user. 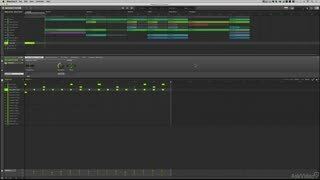 the concise tutorials make the time invested in this course worth it considering what skills you get from completing all of the lessons. 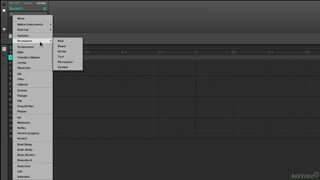 Great tips and explanation of the 2.3 updates! Impressive once again from a down to earth approach and easy to follow along. Thanks Matt! 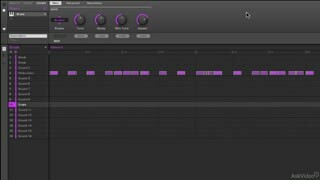 Maschine 2.3 is a great upgrade, these courses really cut through to the new features and let you get right to the new stuff. I appreciate the tutorials, check it out! 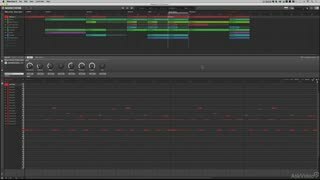 Every couple of months, I get excited about Maschine all over again. These updates are so rad.